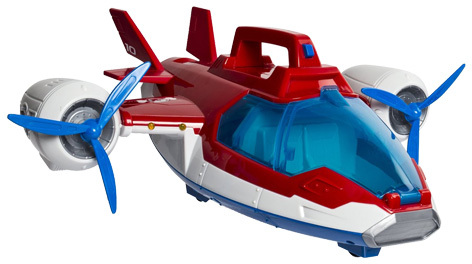 Nick Jr’s Paw Patrol TV series goes from strength to strength just as Spin Master introduces the awesome Air Patroller vehicle. This hybrid twin engine aircraft is the mobile HQ for the Air Rescue Pups and can transform from helicopter mode to jet mode at the flick of a switch. The Pups can load up the cargo bay with all the equipment they need for their next rescue mission and take to flight in super quick time. Even the Air Rescue Pups have their own special airside uniforms complete with a badge button that transforms their backpacks into instant flight packs. Check out the Air Patroller together with the Lookout Playset and On-A-Roll Marshall fire engine. Spin Master are the UK suppliers of all the Paw Patrol toys that can be purchased from online retailers and good independent toy shops all over the UK. 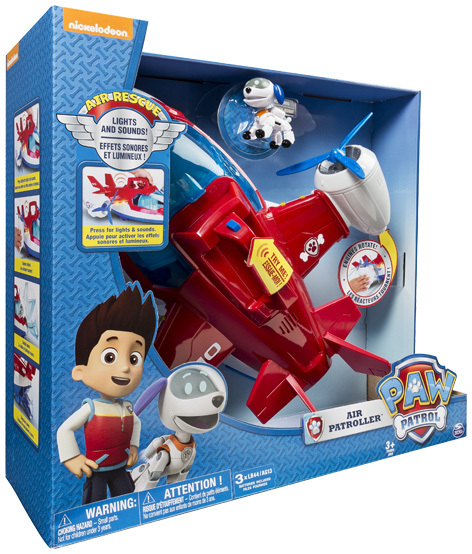 Please tell us what you think of the Paw Patrol Air Patroller by Spin Master.